PHOENIX – Residents, protesters and basketball fans packed City Council chambers Wednesday in anticipation of a vote dictating the future of the Phoenix Suns. 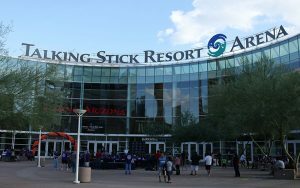 After more than two hours of impassioned public comments for and against, the City Council voted 6-2 in favor of a $230 million plan to renovate Talking Stick Resort Arena downtown. Emotions were high before the vote. Critics included Greta Rogers, 90, whose protest of the deal during a Dec. 12 City Council meeting went viral, and Larry Naman, who spent nearly 12 years in prison for shooting then-Maricopa County supervisor Mary Rose Wilcox in 1997. He told the council that he shot Wilcox – who also attended Wednesday’s meeting – because she had supported a tax for a downtown baseball stadium for the Arizona Diamondbacks. The city’s share of the $230 million renovation is capped at $150 million, with the Suns paying the remaining $80 million, plus any additional expenses. According to a city breakdown of the expenses, the projected total cost is closer to $235 million. 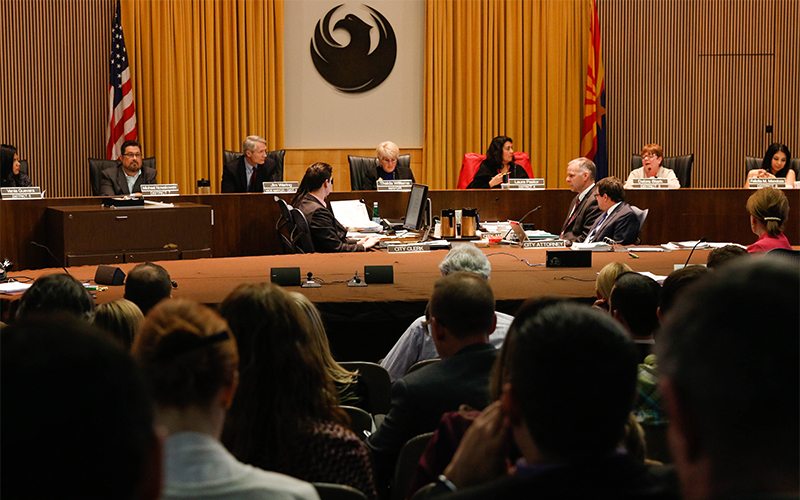 Before the vote, Chris Mackay, director of community and economic development for Phoenix, reiterated the city’s justification for the proposal, and he emphasized the economic importance and impact of the facility, which the city owns. As part of the agreement, the Suns agreed to pay for the construction of a new practice facility in Phoenix, estimated to cost $25 million to $50 million. The public money used to pay for the arena renovations will come from the Phoenix Sports Facilities Fund, comprised of tourism tax revenue. The fund accumulates a 1 percent tax on hotel stays and a 2 percent tax on car rentals within the state. Many residents lined up to speak for and against the proposal. 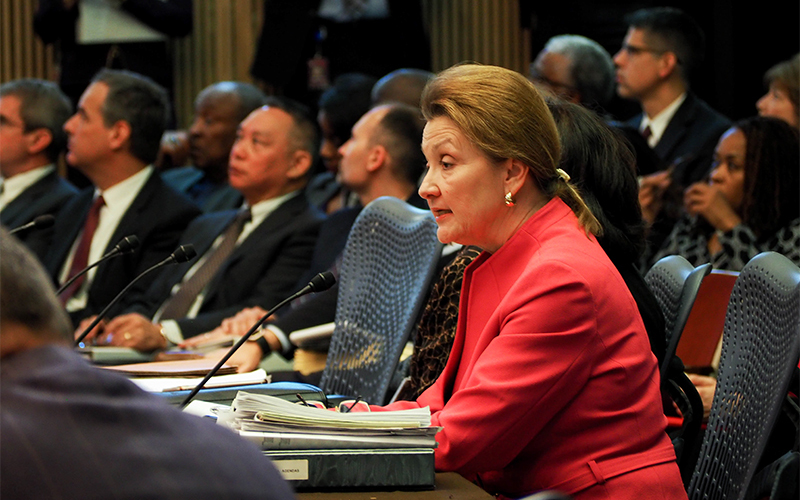 Williams stopped the discussion after more than two hours, with 29 people still waiting to comment. Under the agreement, the Suns will continue to share profits and pay rent to Phoenix. The rent and profit share to the city is estimated to be $60 million dollars over the 15-year agreement, from 2022-37. The Suns will also continue to fully pay for operations and maintenance costs, according to the city. Major renovations are not covered under maintenance costs, as the city owns the building and operates as the team’s landlord. The city will pay $2 million and the Suns will pay $1 million annually towards a new renewal and replacement account for costs of future infrastructure needs, according to the city. Work began on the arena in 1989, and it officially opened in 1992. This agreements keeps the team in downtown for an additional 15 years. The agreement will replace eroding plumbing and electrical systems, and address roofing and structural issues. It also will update fan amenities, such as the seating bowls, suite levels and the main concourse. The new agreement keeps the Suns in the arena through 2037, with an option to extend their lease until 2042. The Suns would face a $200 million fine if they break their new agreement and leave Phoenix before 2037. Without the deal, the team could have left Phoenix when its agreement with the city ends in 2022. Failure to reach a new agreement with the city could have triggered the obsolescence clause in their current operating agreement as soon as July 1, 2019. The obsolescence clause in the assurance agreement between Phoenix and the Suns calls for an independent arbitration group to evaluate the building, determine whether it’s functionally obsolete and if so, how much would it cost the city to make the arena suitable for its tenant. If the obsolescence clause had been enacted, Phoenix would have to fully pay the evaluated price without funding from the Suns, or else the Suns could be free to leave Phoenix upon the expiration of their current agreement in 2022. It is possible that the evaluation reached by the obsolescence process could have exceeded the $150 million proposed by the city. The City Council postponed its initial vote scheduled for Dec. 12 after public dispute and a call for more information and time to educate citizens. 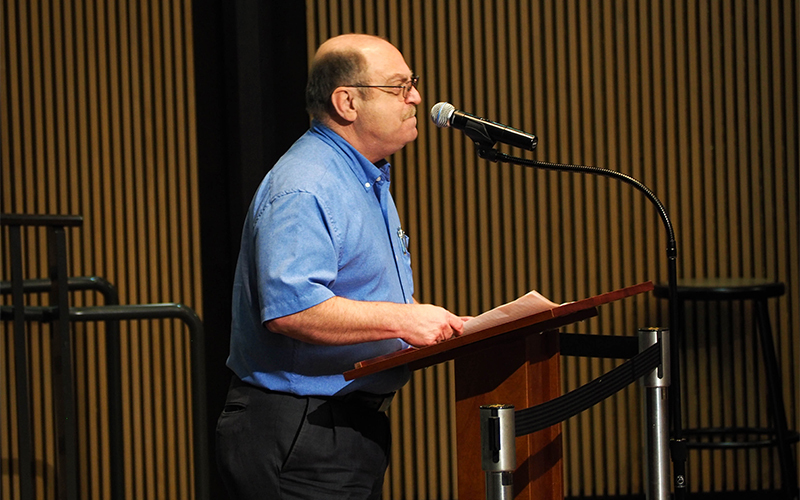 The city held five public meetings throughout Phoenix to explain the proposed renovation plan more thoroughly and open a dialogue about the proposal with residents. The downtown arena hosts about 130 ticketed events, including concerts, professional sports, conventions and community events. It also is home to the WNBA’s Phoenix Mercury and the Indoor Football League’s Arizona Rattlers. Suns events make up 33 percent of the arena’s events, according to the city. Renovations are scheduled to begin this year and last to 2021.